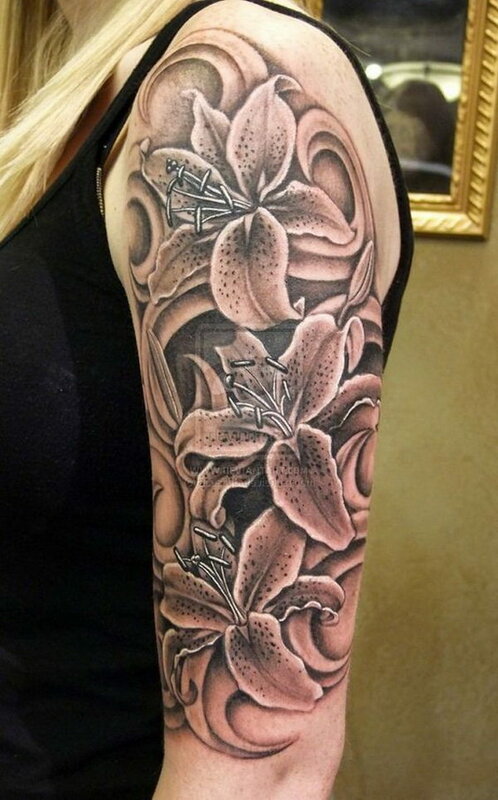 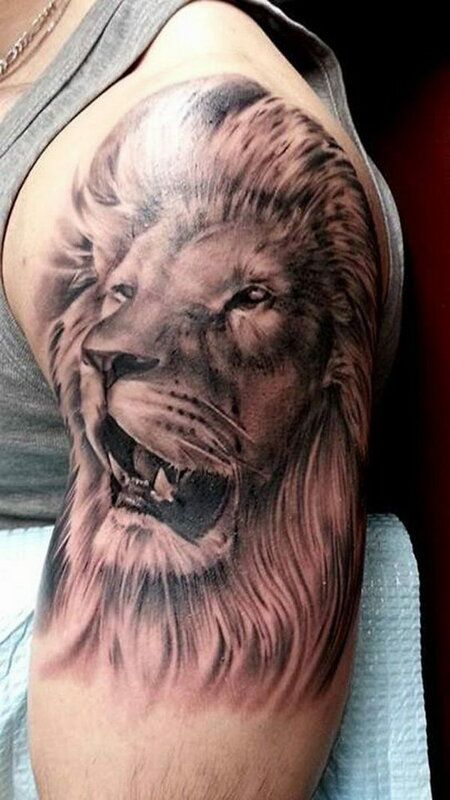 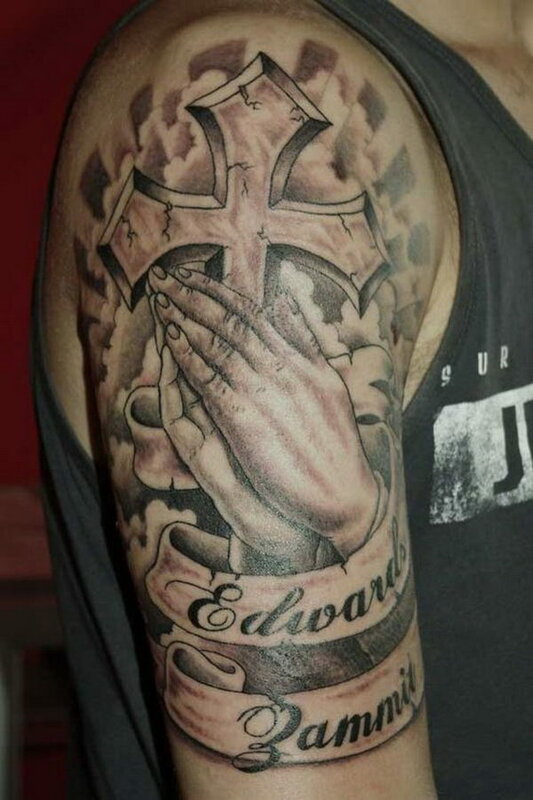 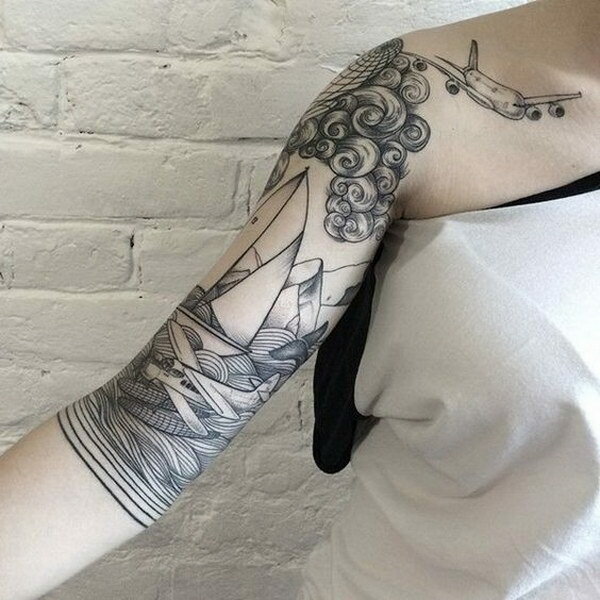 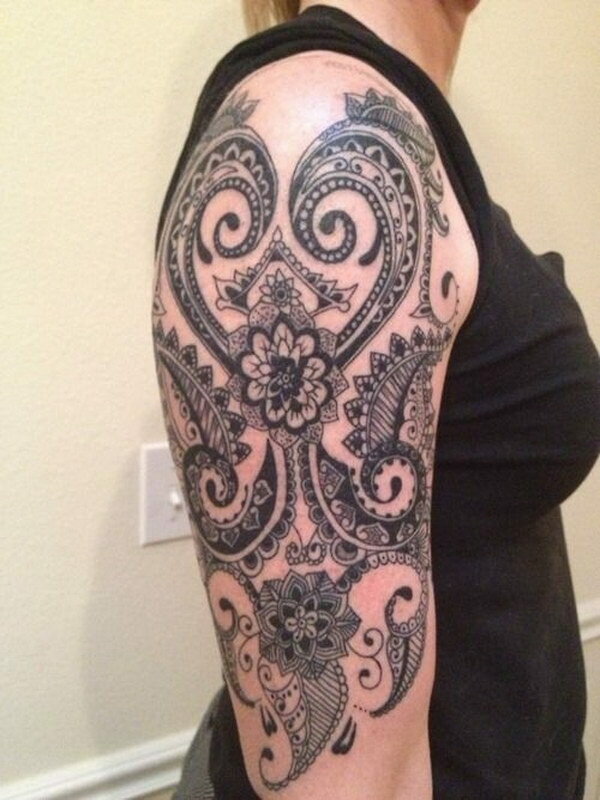 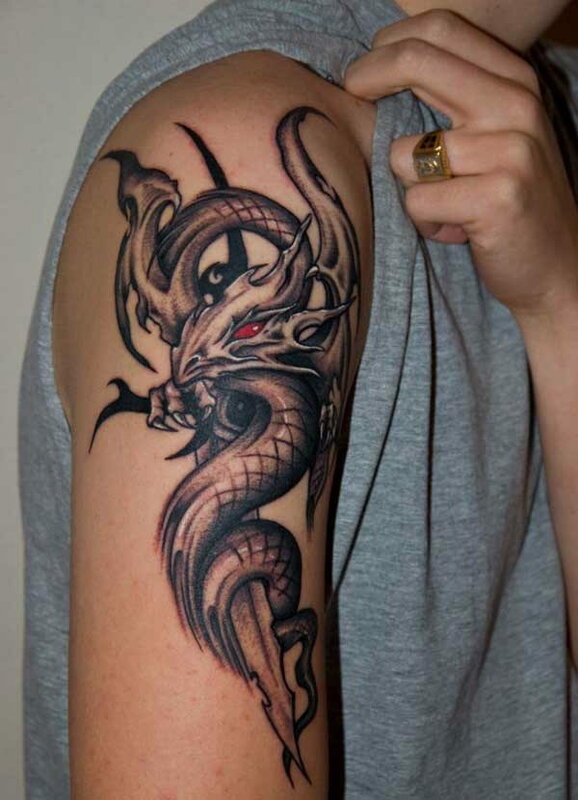 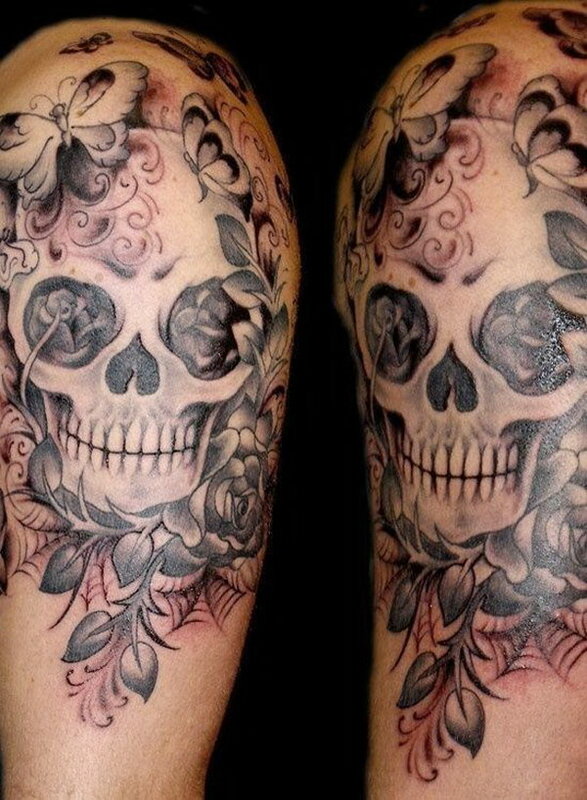 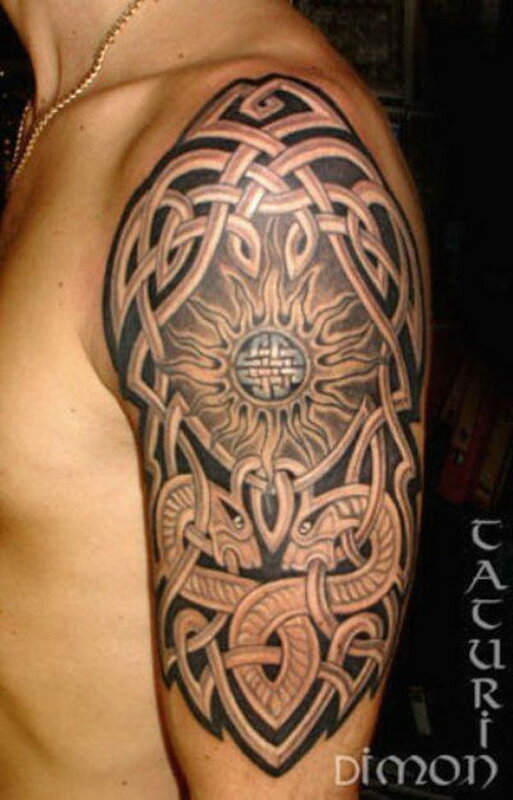 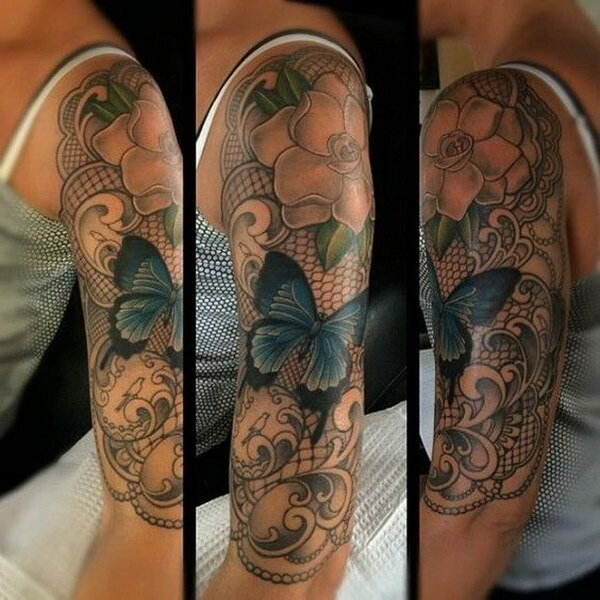 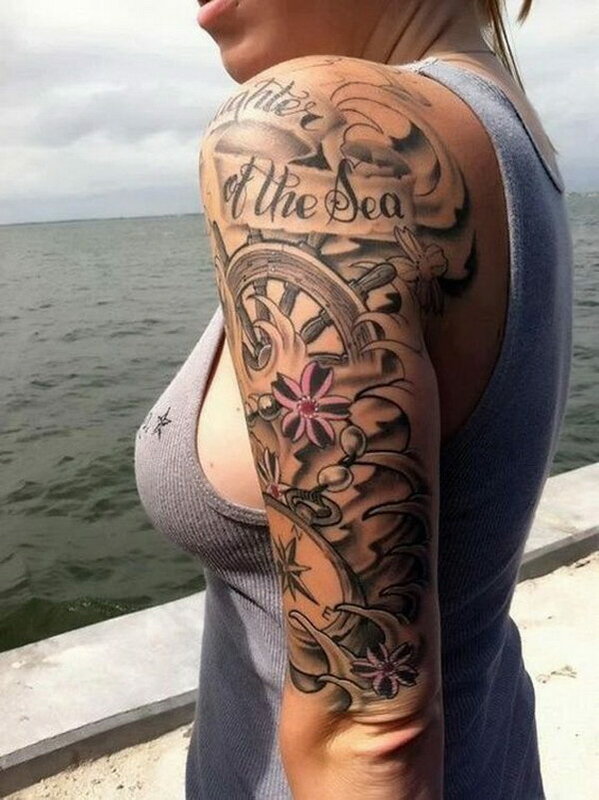 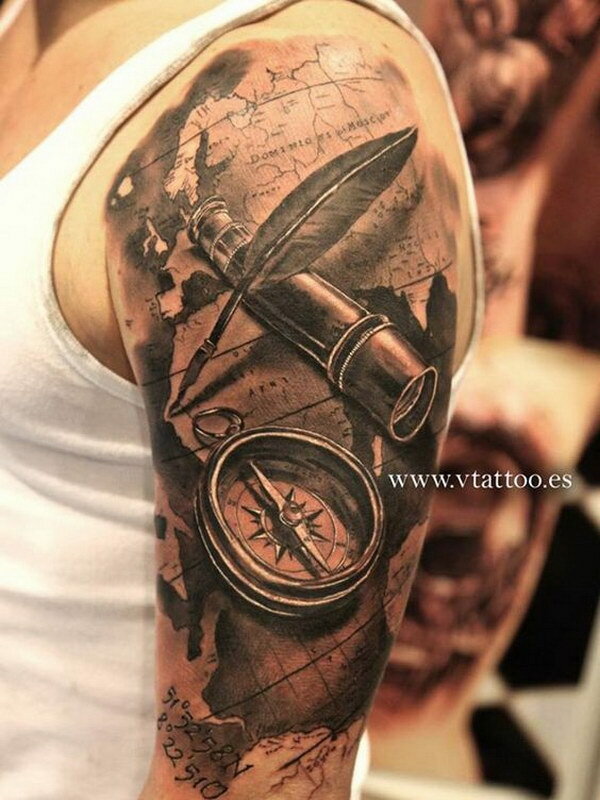 Sleeve is one of the most popular placement for tattoo designs. 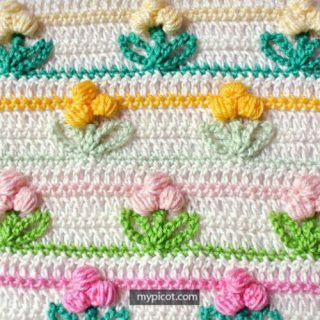 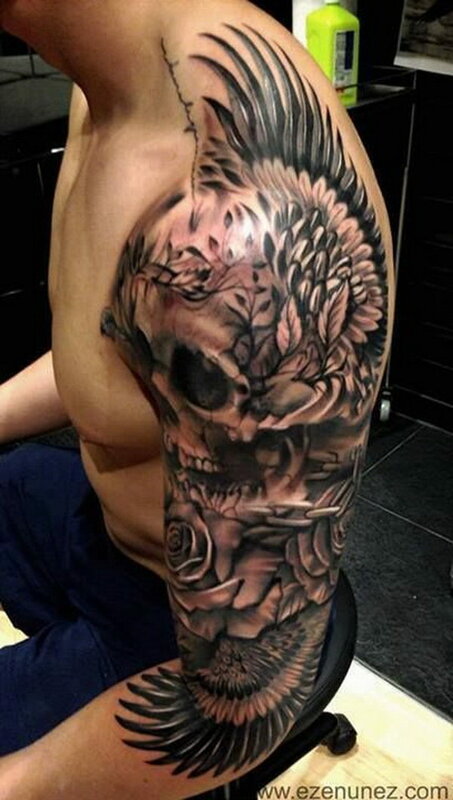 Depending on the length of arm covered by the tattoo, it’s mainly divided into full sleeve tattoo, half sleeve tattoo and quarter sleeve tattoo. 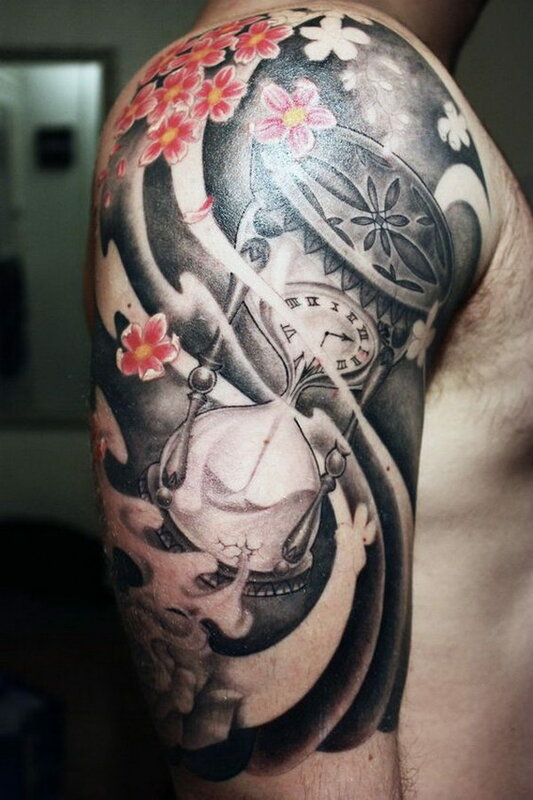 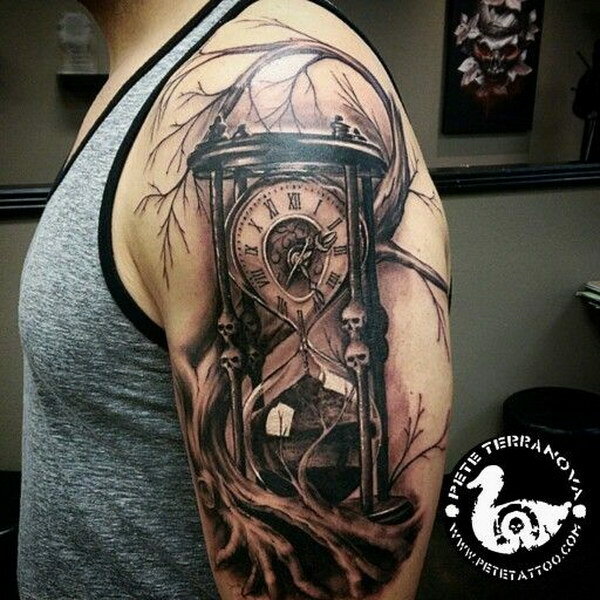 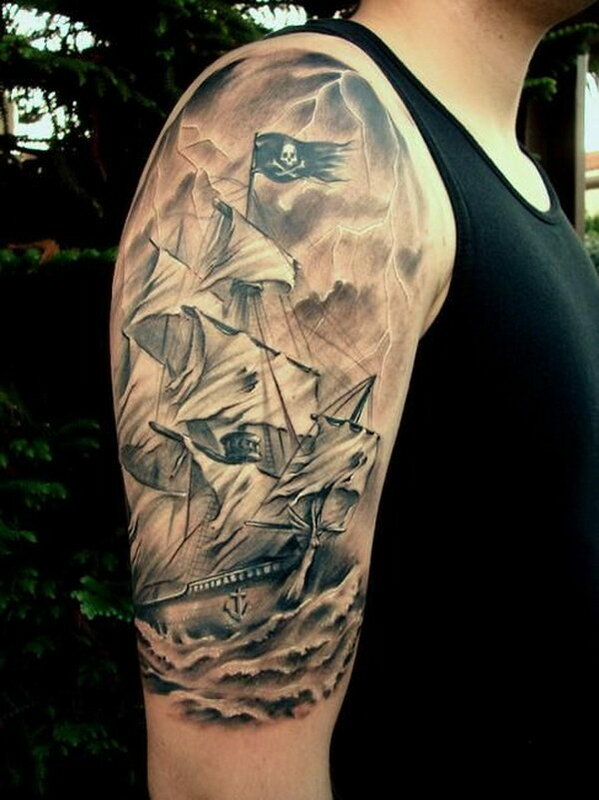 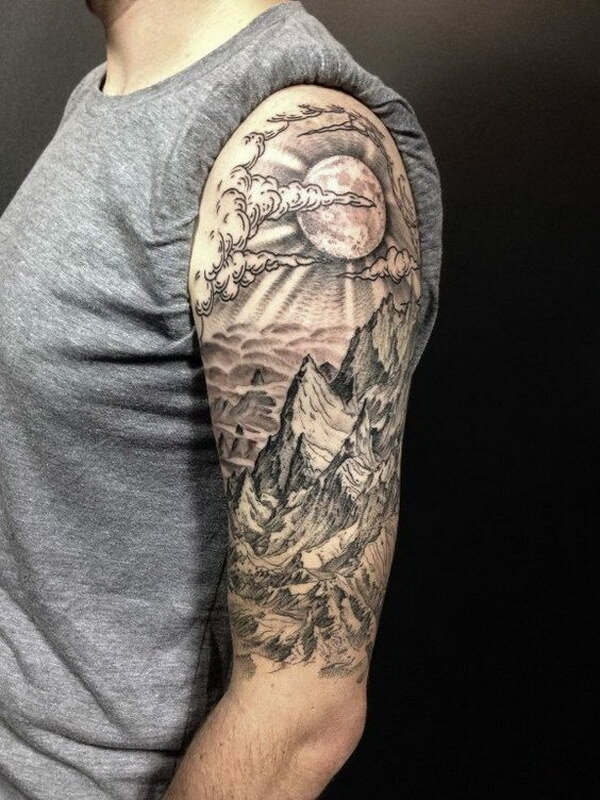 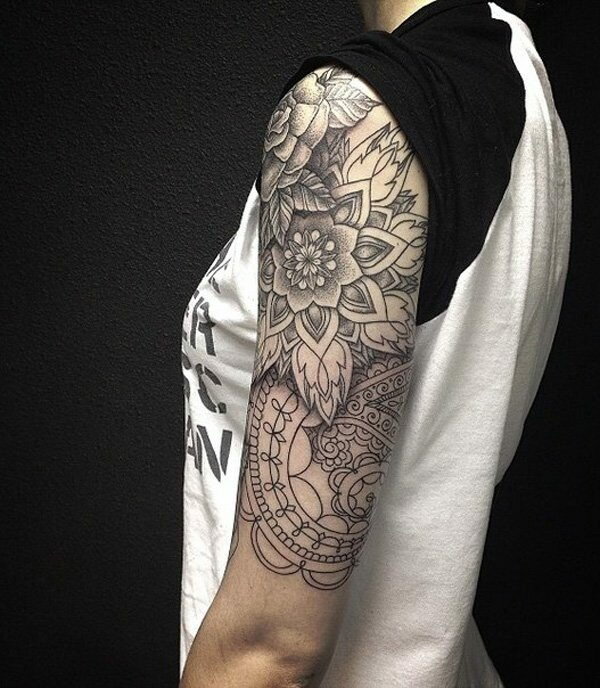 Today we are talking and sharing 45 Awesome Half Sleeve Tattoo Designs for your reference. 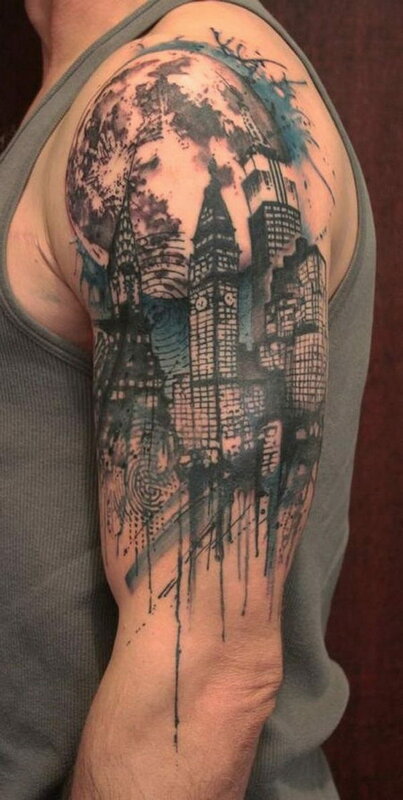 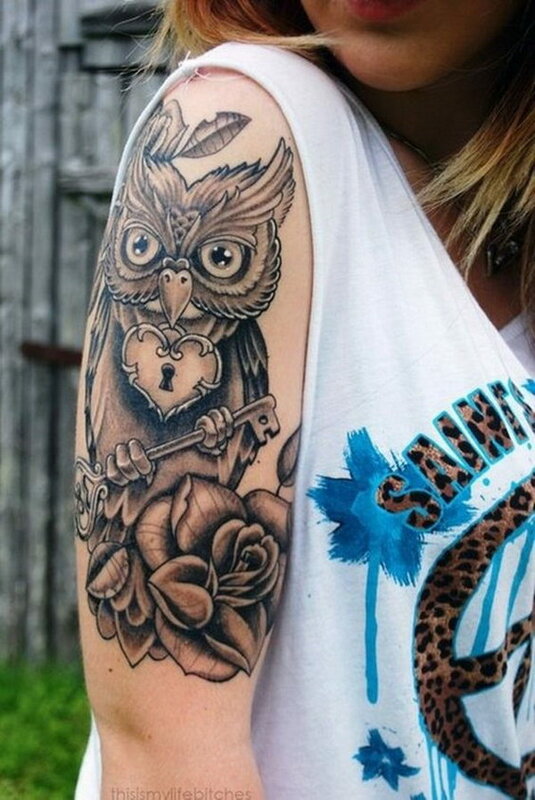 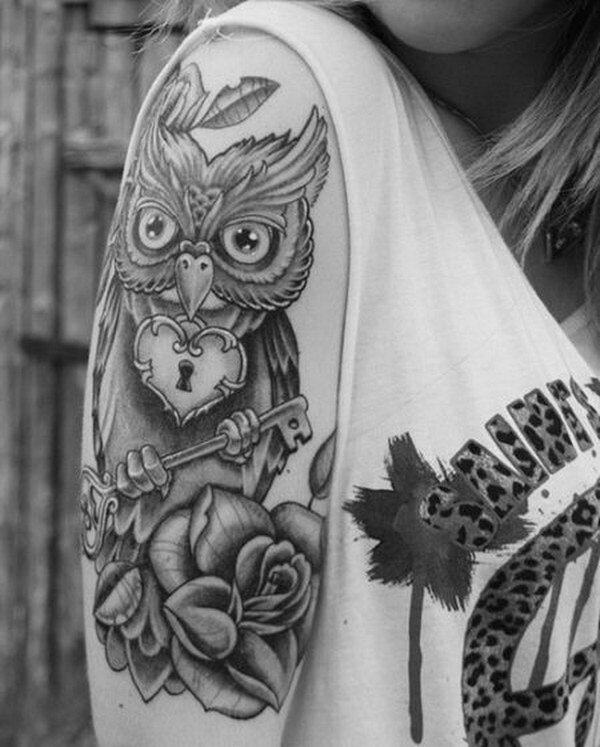 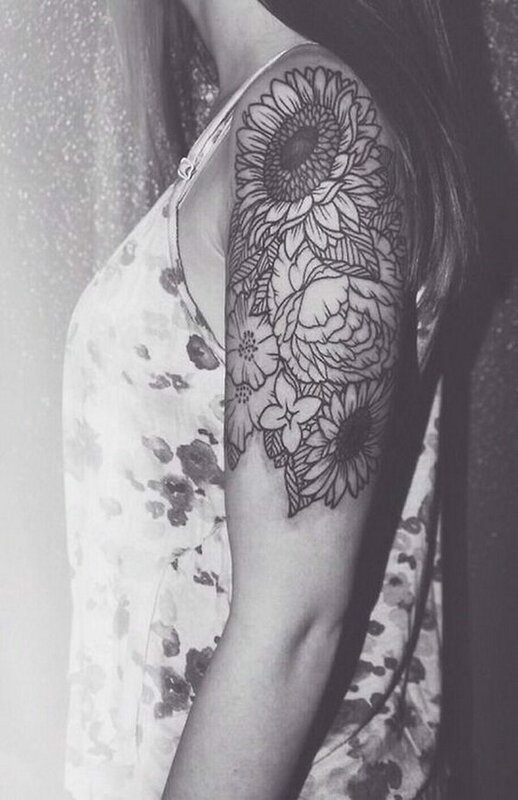 Half sleeve tattoos are trending right now. 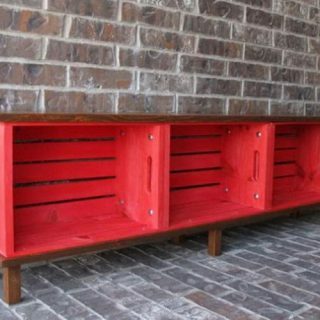 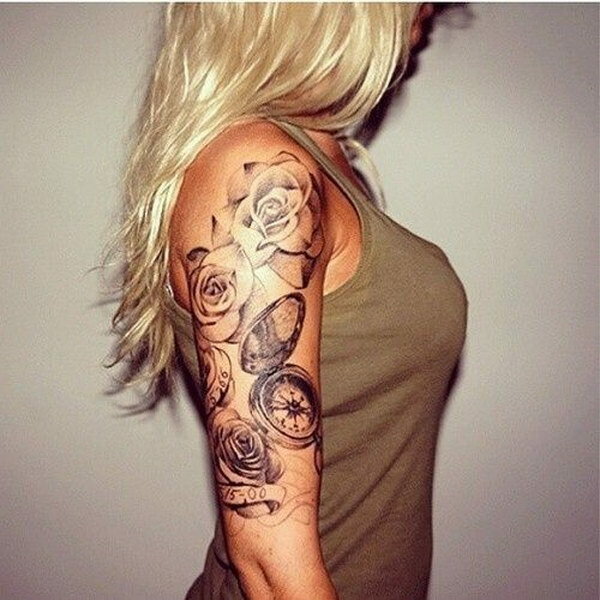 They are really great and elegant to look at and very attractive for most rockers and bike riders around the world. 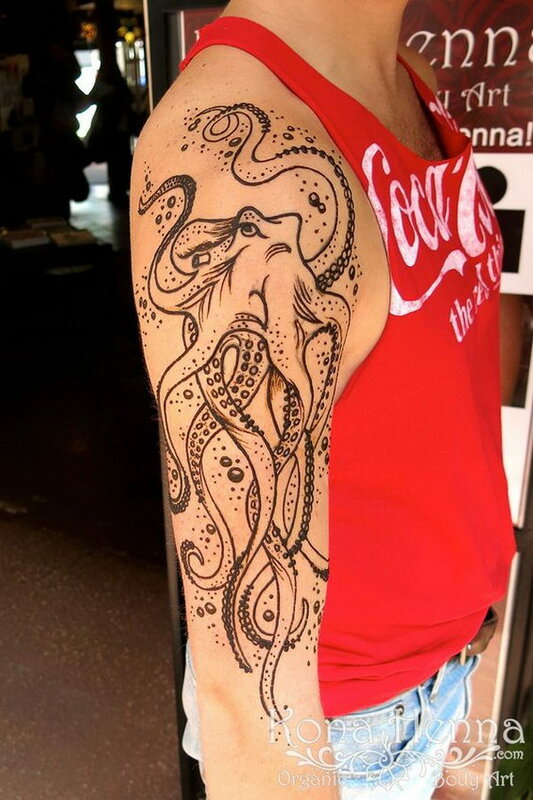 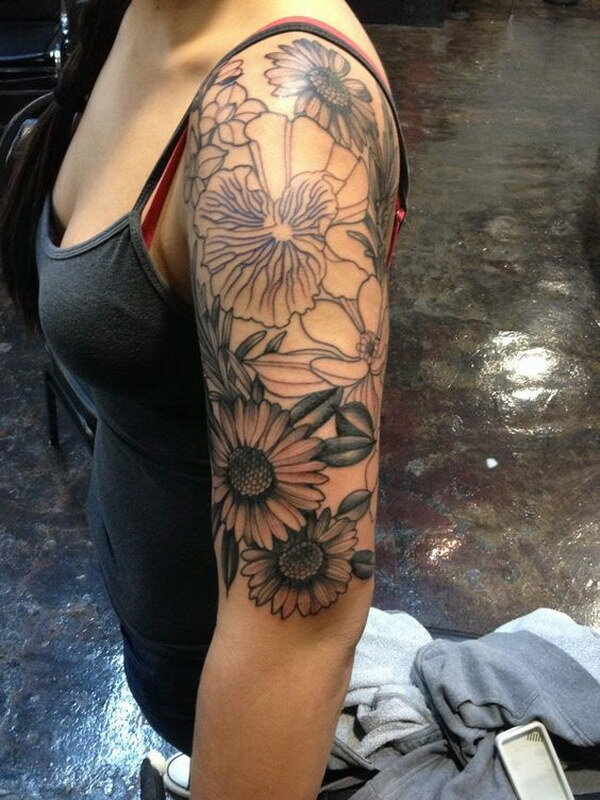 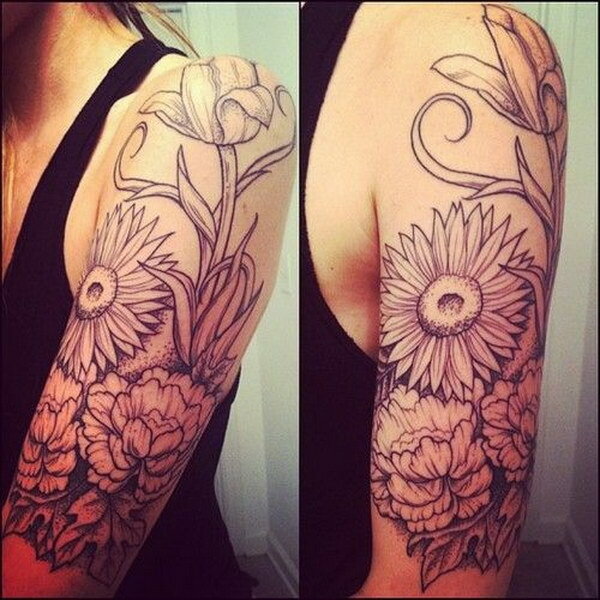 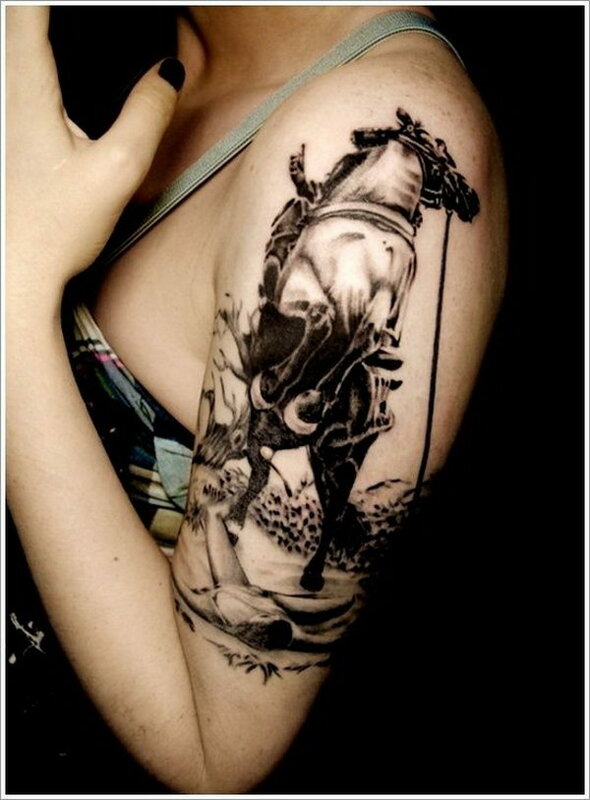 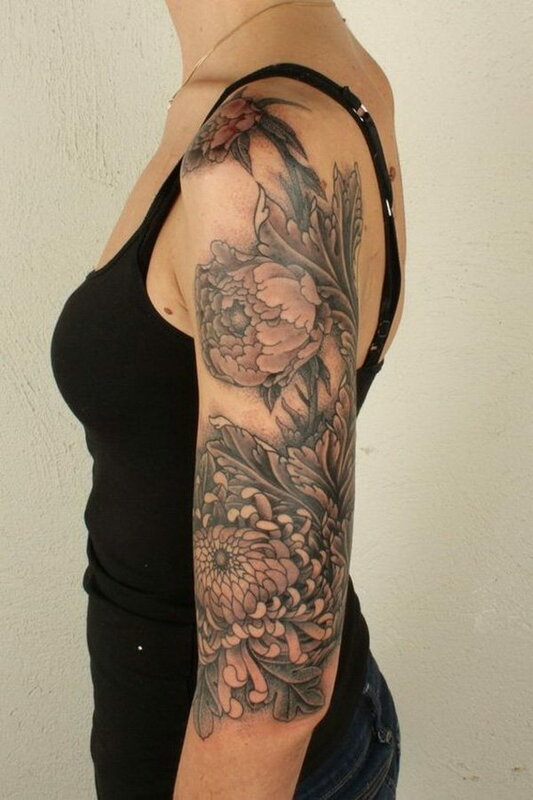 Half sleeve tattoos can involve a lot of artwork making individuals appear stylish. 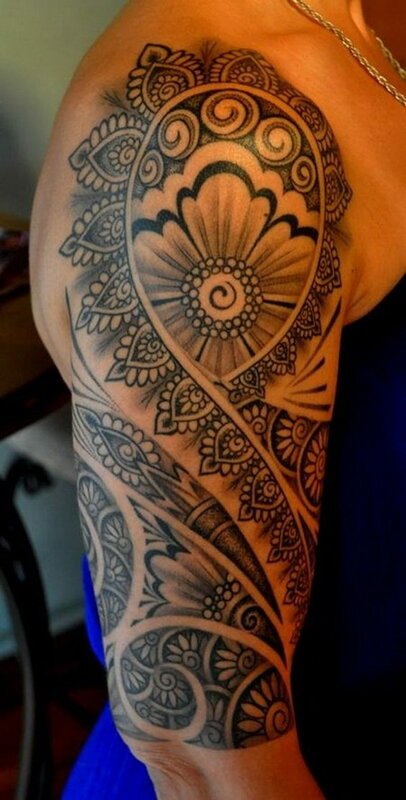 Like tribal tattoos on sleeve, fonts, quotes, flower, animal, angel, dragons, 3d, or Polynesian or Maori designs and ideas are all available. 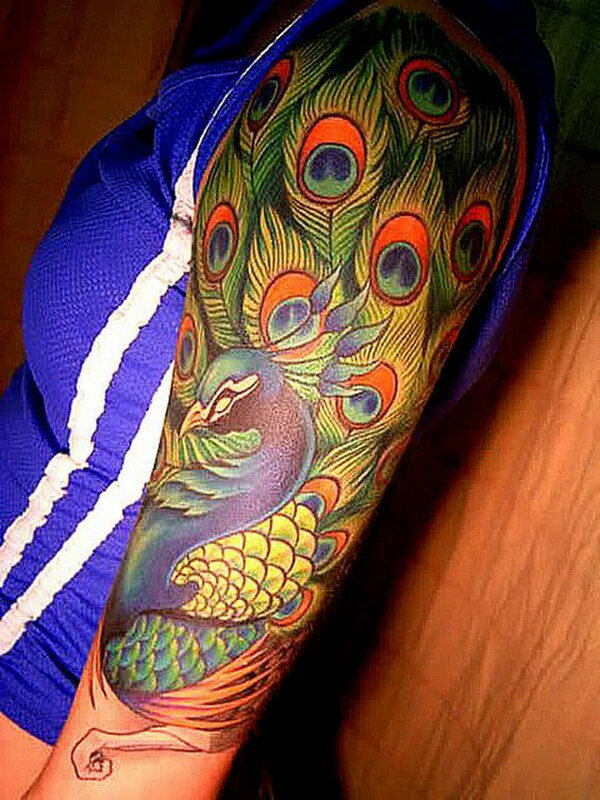 If you are thinking to have a tattoo imprinted on your body this year, choosing a half sleeve tattoo will be an excellent choice. 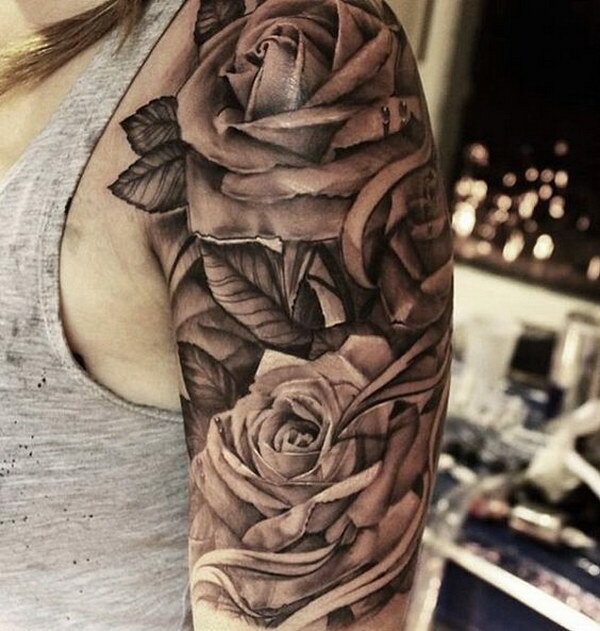 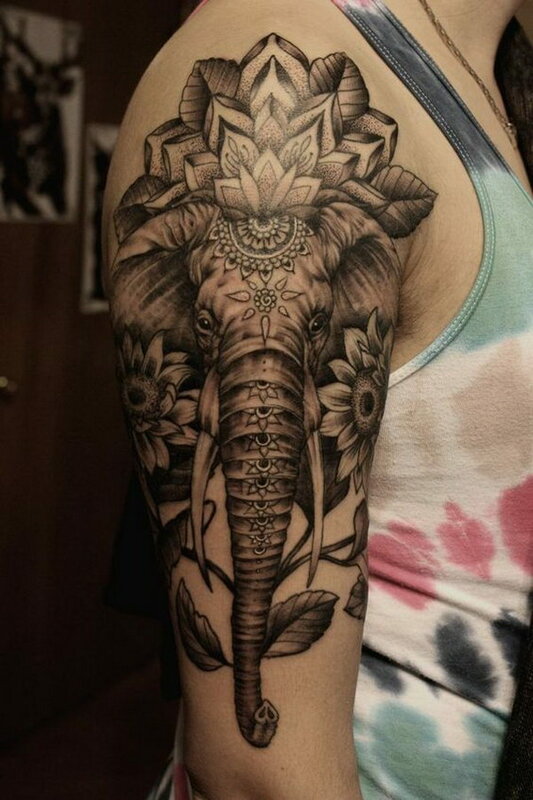 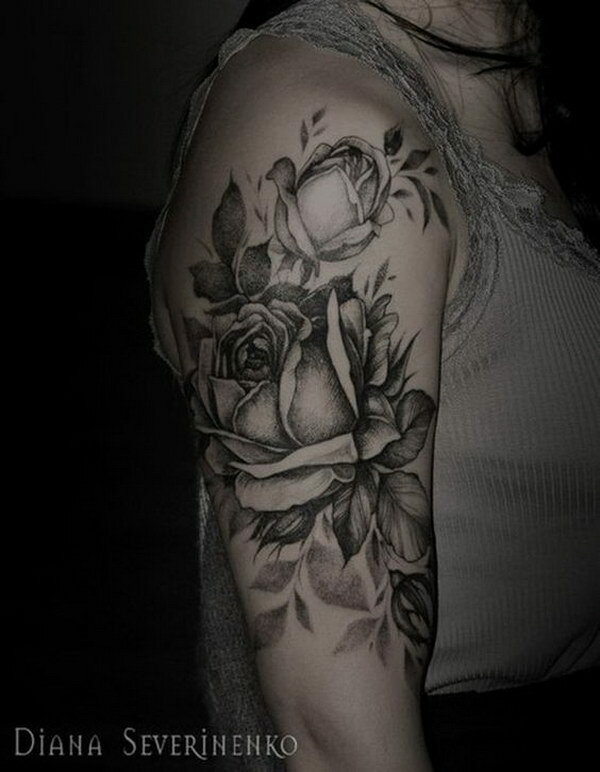 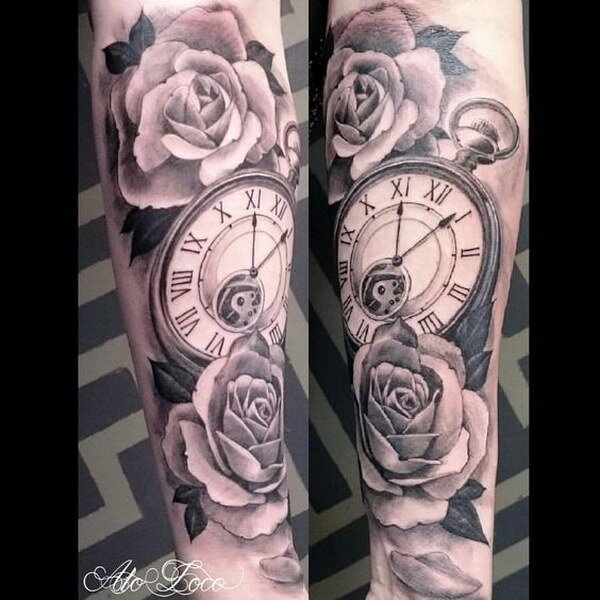 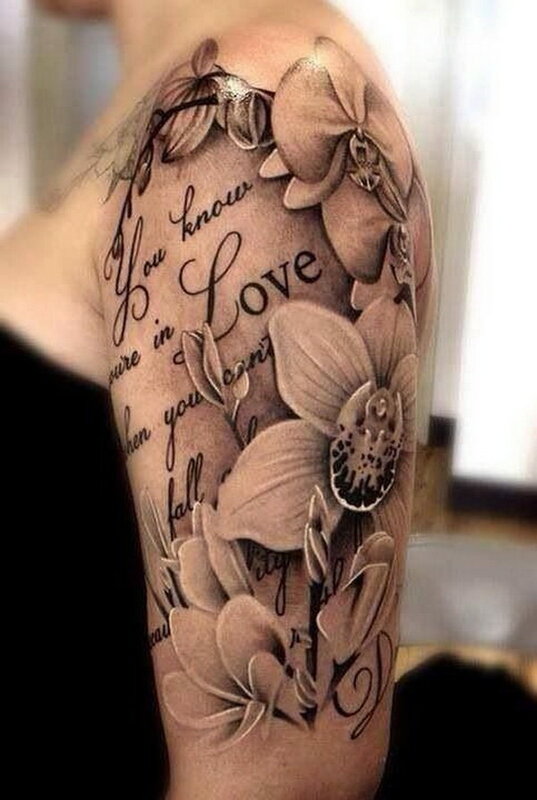 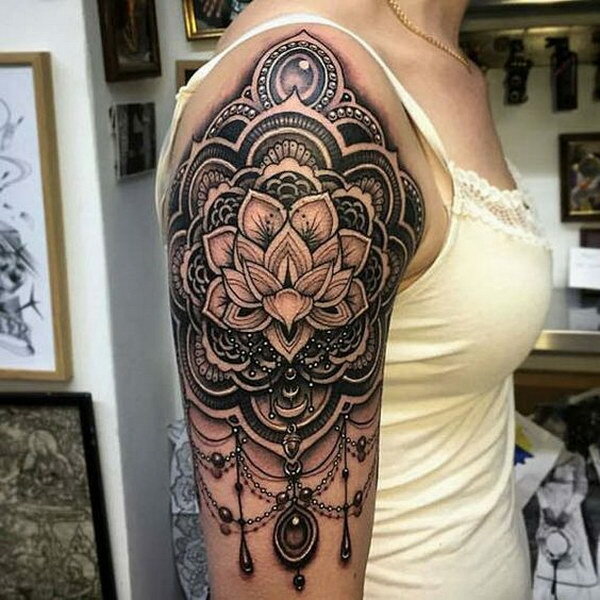 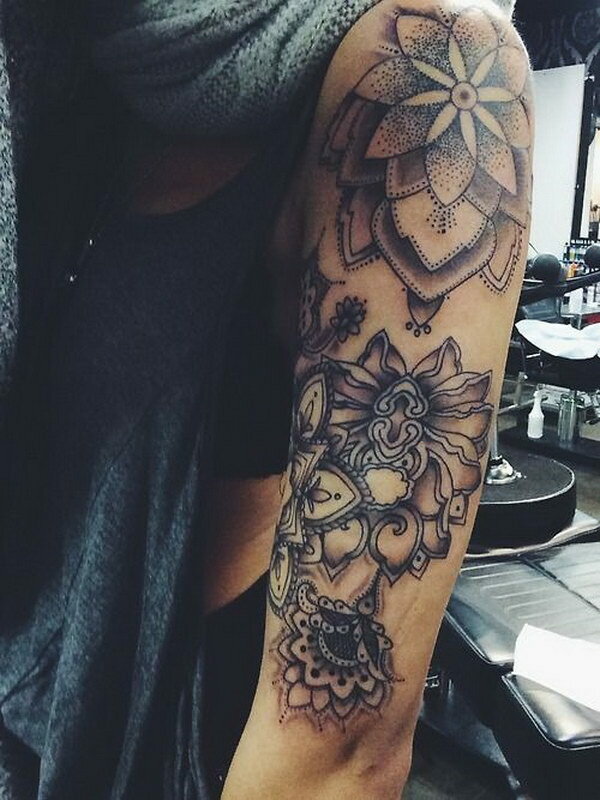 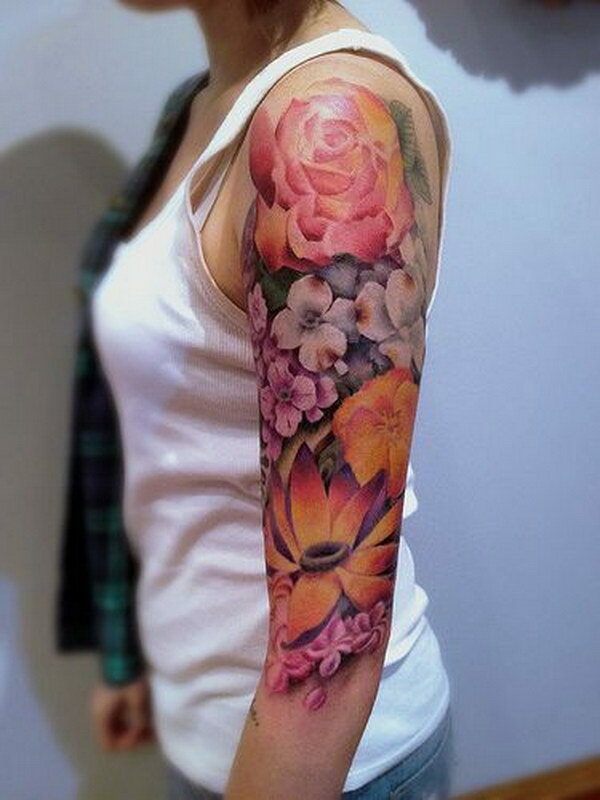 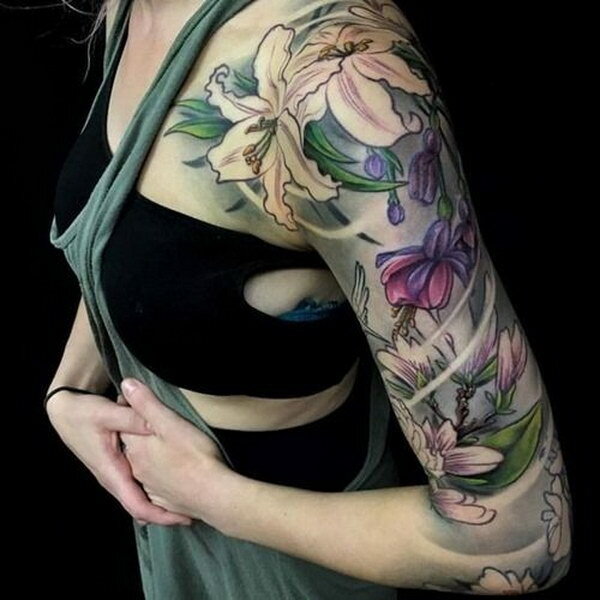 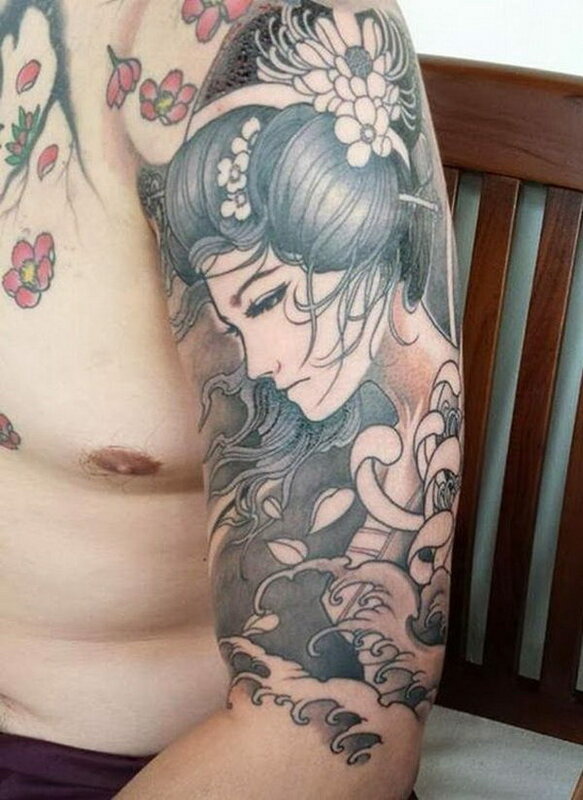 Take a look these awesome half sleeve tattoos for men and women, which include some pretty flower half sleeve tattoos, black and white half sleeve tattoos, shoulder half sleeve tattoo designs, dragon half sleeve tattoos, tribal sleeve tattoo ideas, colorful half sleeve tattoos and more. 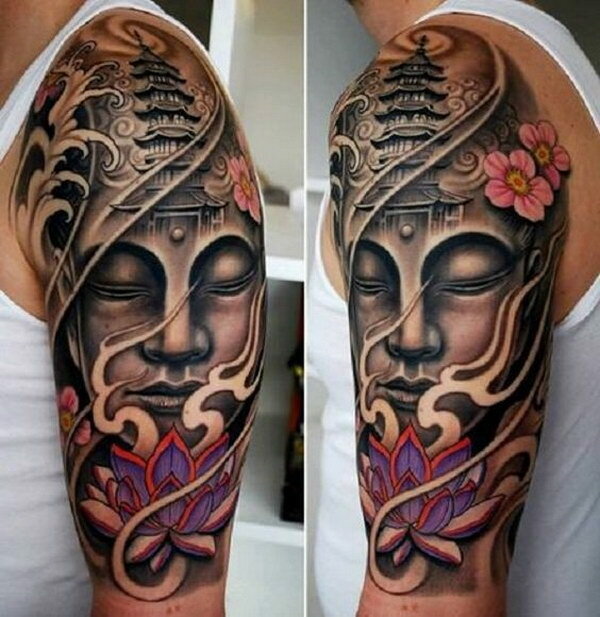 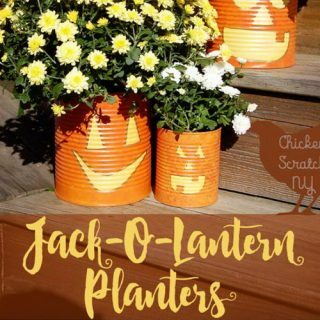 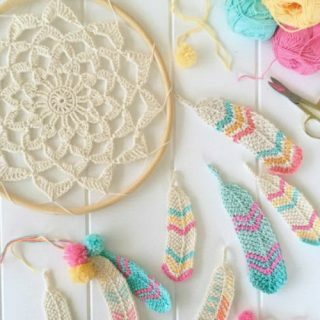 Enjoy and get inspired for your next tattoo ideas!